The Happy Homewares wall light combines simplicity with elegance. 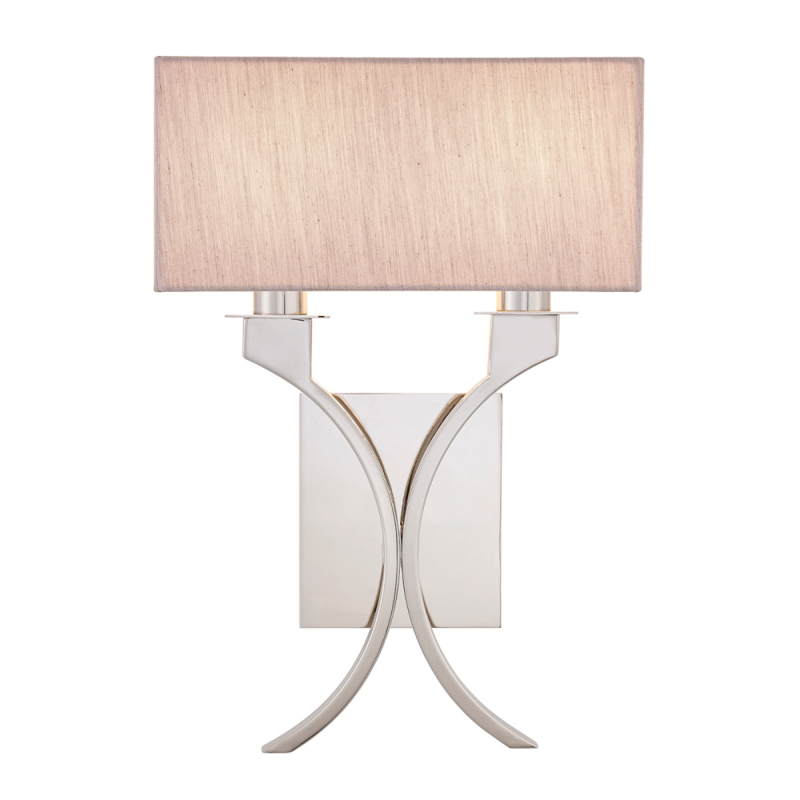 Finished in polished nickel with sweeping curved stems and topped with a beige organza effect shade. Matching items available. 14.5cm projection x 42cm height x 27cm width.